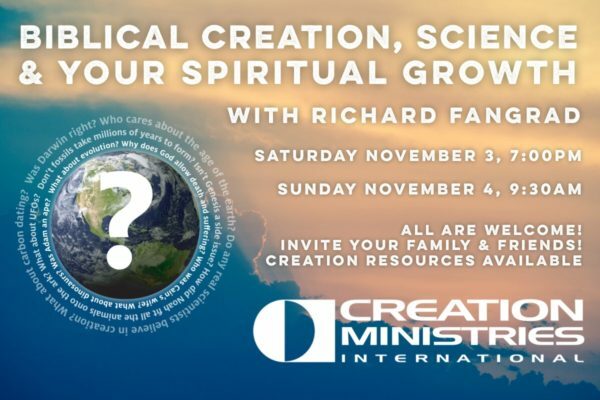 Creation Ministries International is coming to Kingsway with answers to these important questions. Come and hear Richard Fangrad expose the bankruptcy of the evolutionary myth. You’ll be amazed to see how weak the scientific evidence for evolution is. Richard is known for his easy-to-understand scientific presentations. As an electronic technician Richard has worked on advanced communication satellites and radar systems. He has been speaking on the creation/evolution topic since 1994.